Twin Valley South’s Mylan Crews looks to drive to the basket during the Panthers second round sectional tournament game against Covington. 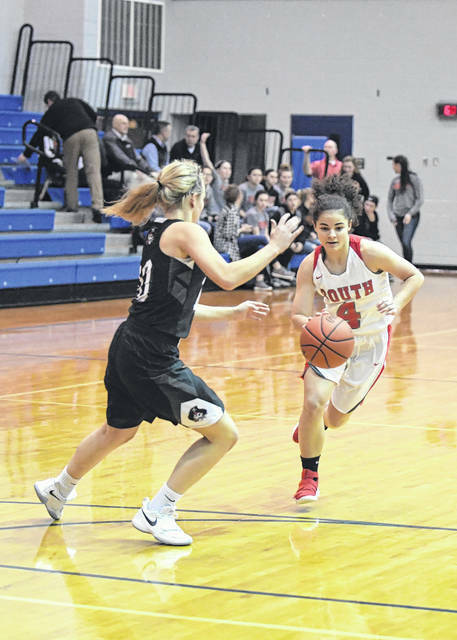 Crews scored a team-high 12 points, but South came up short, 44-24, on Tuesday, Feb. 20 at Brookville High School. BROOKVILLE — For the first 16 minutes, No. 8 seed Twin Valley South had No. 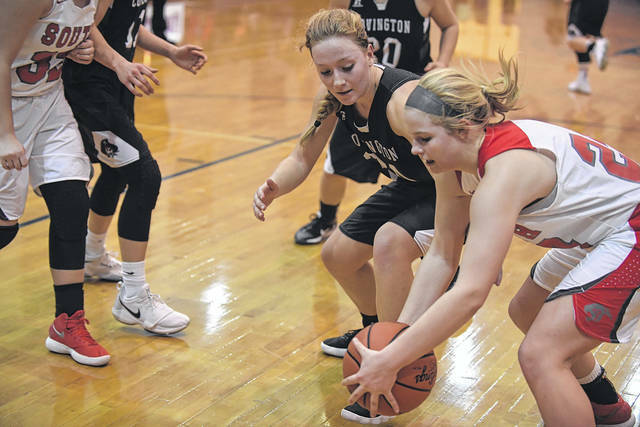 3 seed Covington on the ropes in the second round of a girls Division IV sectional basketball game last week. The final 16 minutes, though, was all Covington. 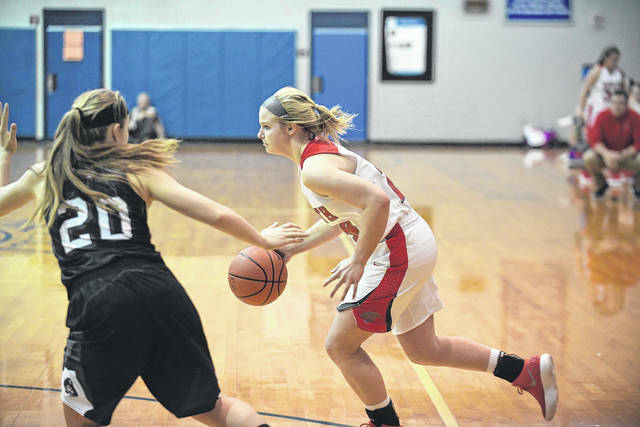 The Buccs turned a 20-12 halftime deficit into a 44-24 win at Brookville High School on Tuesday, Feb. 20. 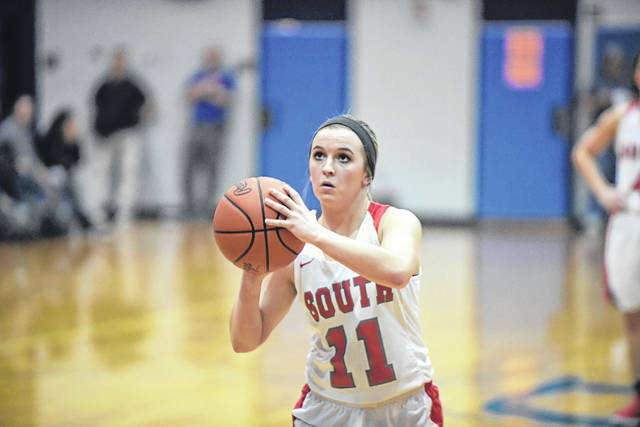 South grabbed a 7-6 lead late in the first quarter on a steal and layup from Taylor Bowers and held the lead for all but a minute of the second quarter. After the Buccs tied the game at 7-all, South went on a 9-1 to take a 16-8 lead with just under three minutes left in the half. After a pair of baskets from Sammi Whiteman, who scored a game-high 25 points, cut the lead to 16-12, the Panthers closed out the half with four straight points of their own to take a 20-12 lead. Covington opened the third quarter with a 9-0 run to take a 21-20 lead. 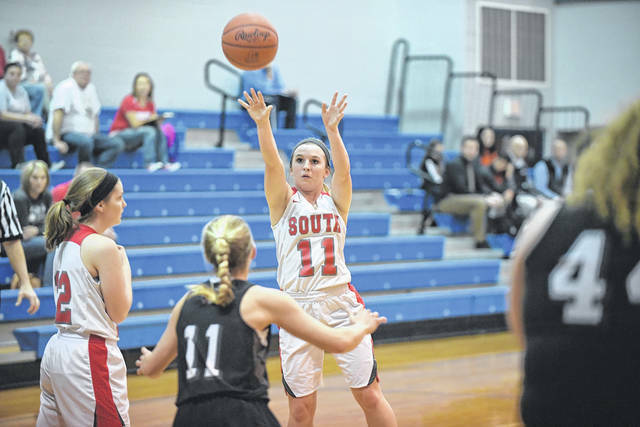 A basket by senior Kelsie Shafer put South back in front 22-21 with 5:38 to play in the quarter. That basket was the last for the Panthers until senior Mylan Crews scored with 1:26 left in the game. By then the Buccs had a 44-22 lead. Crews finished with a team-high 12 points. 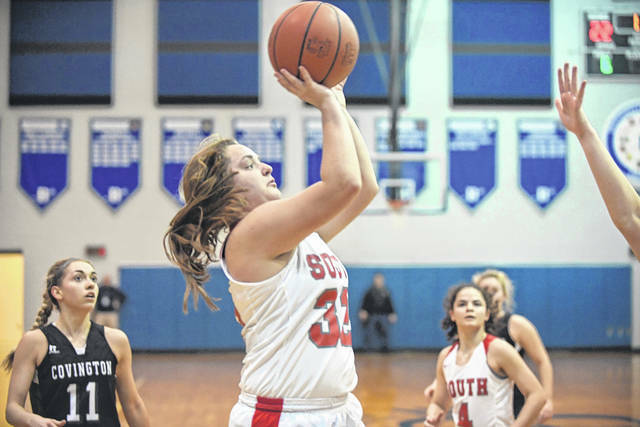 South, which finished 8-15, turned the ball over 24 times during the game and shot just 2-of-27 in the second half. Despite the loss, Rike said he can see the program heading in the right direction. Rike said he is excited about the future. “We do have a strong freshman class coming in. I’m pretty happy with our current freshman class. We hope that this is some momentum that we will build on for the future,” he said. 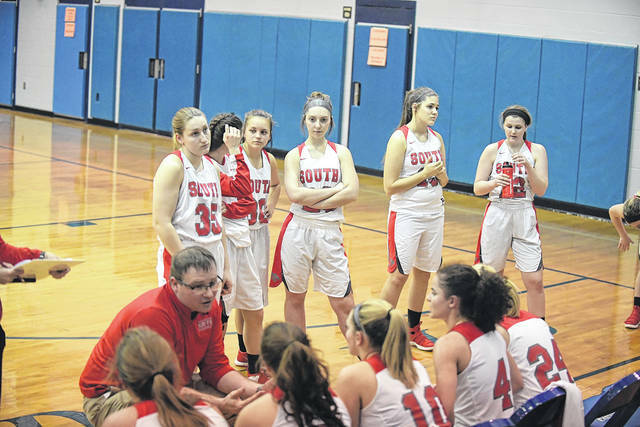 South graduates three key players Crews, Shafer and Abby Bingham.